As mountain bikers we spend a small fortune on kit. We buy the latest bike, components and accessories in the belief that it will make us better riders and enhance our enjoyment of the sport. Let’s face it, who doesn’t like some shiny new kit? And to be fair, some items do add to your experience. 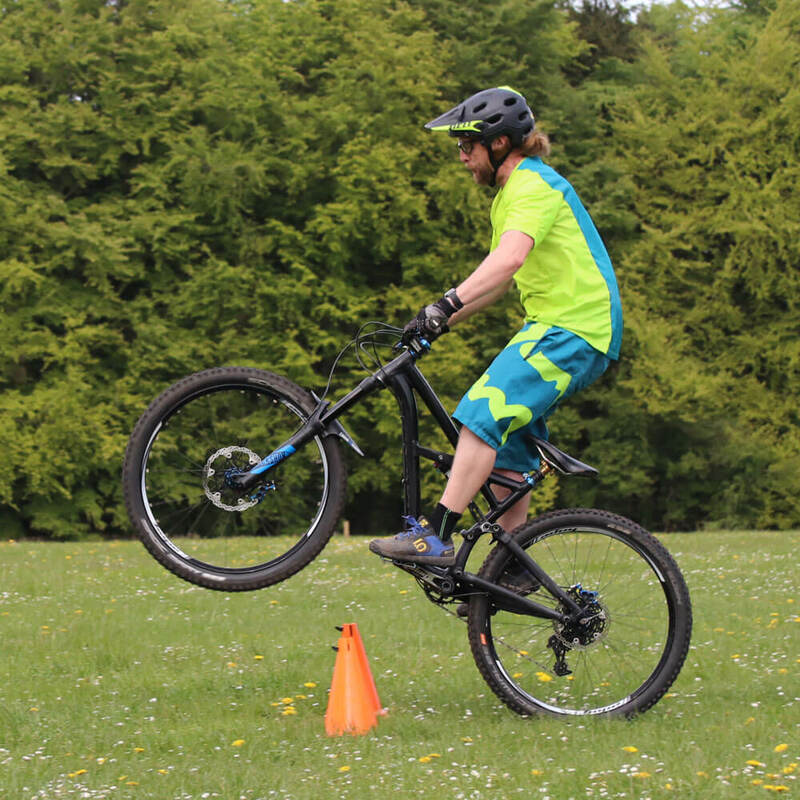 But nothing is more satisfying than improving your mountain bike skills! I’ve seen lots of confident riders with their own little Achilles heels; don’t like drops, hate steeps, terrified of roots etc. Sometimes these skills gaps can just slow you down and have you serving up the excuses to your friends when you finally catch up at the foot of the trail. Sometimes they can mean the difference between being able to ride a trail and having to get off and push. One option is to become adept at choosing rides or runs that omit your ‘pet hates’. You can kid yourself that you’re becoming a better rider. You never fall off right? Trouble is, you’re always left with that secret sense of disappointment at not conquering your demons. A much better option is to identify your weaknesses and get some help. For less than the cost of a set of carbon handlebars you could have a full day of coaching. Have someone show you where you’re going wrong and move you past those pesky sticking points. The joy of a new bike component soon wears off. The satisfaction of confidently blasting through trails that used to scare you, will last for the rest of your riding career. My courses run at Dalby Forest, Hamsterley Forest & Stainburn Forest. Mission MTB coaching is always in small groups (no more than 6 riders). This ensures you get lots of personal attention. You’ll receive personalised coaching and guidance along with slow-motion video analysis, to help move your technique to the next level. Choose training. Choose improvement. Get on a mission! Avoid rookie mistakes. 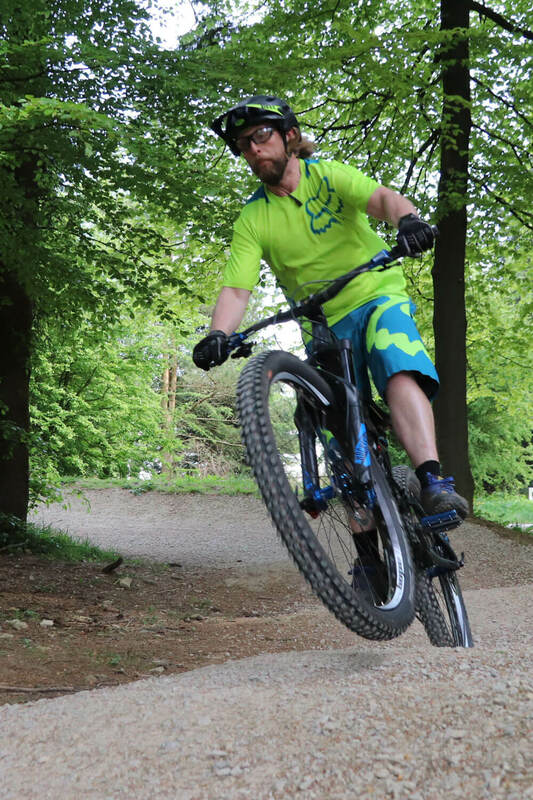 This course is designed to give you the base skills and confidence to get started with mountain biking. The aim of this course is to give you the tools to improve your riding & improve your confidence on more technical terrain. Gain the techniques required for getting comfortable with your wheels leaving the ground. Want to work on something specific, or just learn with your mates? Private lessons are for you.